I created Top 10 Website Hosting because of bad experiences from previous companies. In order to find the best web hosting company, I decided to test (using Pingdom) and record the uptime, server speed and customer service waiting times for the below hosting companies. 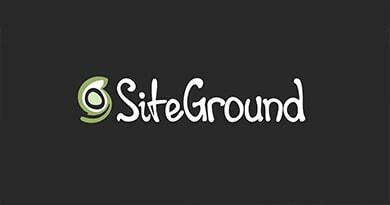 Siteground more than hold their own in terms of reliability, and are a solid example of a company where you really do get what you pay for. They offer industry-leading customer service, making them a good option for those who need that added level of support. There is a reason why they have rapidly grown to one of the largest and highly regarded hosting companies, who now host over 1.6 million websites. They have server locations in the USA, Asia & Europe (including the UK) and are officially recommended by WordPress.org. I’ve tested hundreds of hosting companies and nothing comes close to SiteGround. At £1.50 per month, iPage is the cheapest web hosting provider that we have reviewed. A great starter host if you’re building a website for the first time. I was impressed with the overall performance and up-times during the past 12 months. iPage has been around for some time now and has a superb reputation for both pricing and general performance. If you’re looking for a fast and reliable web host, I would highly recommend iPage; finding any flaws is proving very difficult. A2 is a web host that focuses on what’s important: performance and reliability. They may not be as well known or advertised as other hosts, but they certain deliver. A2 Hosting offer some outstanding speed results in terms of their servers, as well as an uptime guarantee – they really rival their competitors and boast stability and consistency. Bluehost has often been hailed as the undisputed kings of WordPress hosting, thanks in no small part to their reputation within the WordPress and shared hosting communities. They offer feature packed hosting packages, plus excellent support, making them a great choice for beginners. They are now powering more than 2 million websites, making them one of the leading hosting companies. JustHost is a progressive web host that has emerged and continued developing over the years. Their plans focus heavily on the shared hosting market, making their pricing plans particularly versatile in this area. 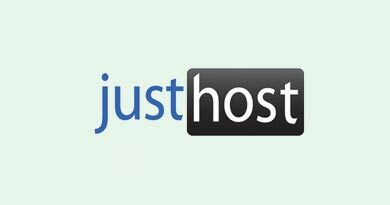 When you look for an affordable web host, you may feel like you’re missing out on features that other competitors offer, but that’s certainly not the case with JustHost. They provide lots of free extras for their customers, without slacking in performance. InMotion are one of the biggest independent hosting companies in the world (always a good thing!). Their products and services were truly extensive, enabling users a really clear experience, where navigation is easy to follow. In terms of their actual prices, they’re certainly not the cheapest web host, however, considering what they have to offer, we’d say that the money you’d spend on this host would most definitely be worth it. Veterans of the shared hosting market, Hostgator’s better-than-average uptime and load speeds make them a solid option for both newcomers and well-established site owners alike. Unfortunately, the sub-par customer service response and higher, long-term price tag means they remain in the bottom half of the table. It’s not the worst company out there, but it’s certainly not the best hosting company we’ve tested. FatCow is certainly not the worst company I’ve ever had to deal with, but nor do they really offer anything that makes you truly excited about them. A good amalgamation of the best bits of other hosting companies, there’s nothing at FatCow that you won’t find with other providers (apart from the gimmicky name). From my personal experience, the customer support and performance is below average. A leader in green energy web hosting, GreenGeeks was established in 2009, founded in California. GreenGeeks has over 35,000 customers with more than 300,000 websites being hosted, and they claim to have replaced 615,000 kwh/year. GreenGeeks about us page was refreshingly different to most website hosting companies; it made us feel like they were making the effort to add a personal touch to their services. 1&1 was established in 1988 and is owned by German company United Internet, owner of other familiar hosting providers, such as, FastHosts and Sedo. 1&1 are probably one of the largest hosting companies in the world, serving over 15 million customers worldwide, with different server bases in Europe and North America. I would say they have a better reputation as a domain registrar rather than a hosting company. Right across the globe, there are literally hundreds of web hosting services who are all competing to get websites like yours and mine onto their servers. As you can imagine, it would take me an insane amount of time to cover them all. That said, as a professional working online, I have used more than my fair share of web hosts on my journey to find the one solution that was right for me. I was on a budget so I purely looked at cheap web hosting companies during my search, but it always amazes me that you can get hold of a hosting plan for just £1.50. Pretty good hey? When I decided that I was going to share my thoughts and experiences with small business owners, I knew that I needed a way to determine which sites to include and which ones to leave out. I also looked closely at what features were included with each hosting company’s entry level package, and whittled these down to the ten companies which are featured above, along with in-depth independent web hosting reviews and up time statistics. It’s worth noting here that this isn’t a static table. Along with the ten web hosts you see, I continue to monitor and test around 10 – 20 more, and regularly update this website so that it features only the ten companies who are performing the best on any given week. You want the absolute best value for your money. Let’s be honest, that’s just good old fashioned common sense. As a business owner, the last thing you need is to be paying out more than you need to for solid, reliable web hosting. Yet here’s the thing, those introductory prices don’t last forever. In fact, you often hear stories of customers being billed for hundreds of pounds due to poor billing procedures (I can name a few companies that do this). There will come a time during the life of your website that the special ‘first term’ rate runs out, and you’re faced with paying the company’s standard monthly or yearly rate. Don’t worry, with all but a few exceptions, this is fairly standard practice across the hosting industry. What it does mean however, is that the initial price of your hosting plan shouldn’t be the only factor you consider when choosing a site. Assuming you’re going to be running for at least a few years, it pays to consider the true long-term cost so that you can better plan out an ongoing budget. Nor does the price alone offer any clear indication as to the quality of a web host. I’ve seen cheap web hosting companies offer absolutely rock bottom rates, only to discover that this is exactly what they were; cheap, unreliable, and barely fit for purpose. In other words, you really do get what you pay for with web hosting. Whilst you no doubt want to keep an eye on the purse strings, factors like up-time and server response times are far more important when it comes to choosing the right package for your new site. Shared hosting is perfect for most requirements from basic wordpress sites, to demanding ecommerce sites. Obviously there are limits but in 99% of cases, it’s a perfect fit. Of course, there are always exceptions to every rule, and I’ll discuss these in detail in the hosting reviews featured on this site. Easily one of the most important factors to consider. I’ve had terrible experiences of long waiting times and poor customer responses. Let’s be honest, having support that you have to wait for can really have a bad impact on your business and it’s a frustrating experience trying to get something fixed. Most of the best web hosting companies I’ve dealt with have had amazing service (especially SiteGround). Having a fast and responsive server has a huge influence on the customer experience and Google have now mentioned this as a ranking factor (which makes total sense). Basically, the faster your site performs the more conversions you are likely to have. Even a slight delay can have a huge impact. Anything below 400 ms is good enough. Optimising your site is something else to consider too, which you can do via various plugins such as W3 Cache and WP Optimize. Having a reliable host is nearly as important is also critical. If your hosting company has poor uptime then your losing business. You can use services to inform you (such as Pingdom) to inform you when your site goes down. Most hosting companies promise amazing up times of 99% etc, but the harsh reality is that it’s often far below this. When you’re looking at web hosting for the first time there are many different types and options that you can choose. These range from cheap hosting providers where you share a server with thousands of other sites, to dedicated options that cost hundreds per month. In many respects, they all do the same job, but performance and up-time can vary a lot. I’ll explain each type so that you can get a better understanding of which is best suited to you. Shared – This is by far the most popular type of hosting. It’s cheap and offers great performance in most cases. You’re sharing a server with other sites, which is why it’s often cheaper than dedicated options. You also get all the functionality and features of the more expensive dedicated servers. Most providers sell this as “unlimited web hosting” but this is obviously never the complete truth! VPS – This is another option for customers on a budget. However it still cost’s over x10 times the amount of shared hosting making it not as popular, but for traffic-heavy sites it is ideal. You’re sharing a server, with fewer customers and you get a similar performance as dedicated options. Dedicated – This is perfect for demanding websites that need plenty of resources to be able to run. It’s an expensive option but if your site generates large traffic or consumes a lot of resources, it’s essential. You’ll also need to ensure it’s managed unless you have previous server administration experience. Cloud – In recent years this has become a popular option for many business owners and it’s quite similar to VPS in some respects. Instead of it being hosted on a physical partition, it’s actually hosted on a virtual partition of the server. 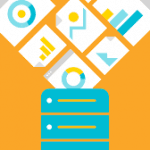 This means you can easily scale up your business without adding additional hardware. Reseller – As the name suggests this is made for web hosting re-sellers and hosting companies. This means that all the daily management of the servers etc is done by the provider. It’s popular because you can get better rates and scale as you grow your business by purchasing server resources in bulk. This type of hosting only applies if you wish to start your own hosting company as it’s for advanced users only. Before we delve deeper into who the best hosting providers are for specific areas, we figured you’d probably want a few questions answered, which is understandable given the terminology that’s flying around when talking about the best web hosts. There’s a lot to consider, and many companies to choose from, but getting the basics down to a tee is the best place to start. Remember, if you take note of our guides and shop smartly, you’ll always get the best website hosting package around, you won’t be tied into contracts, and you can upgrade your web hosting plan as you or your business grows. Answering your potential questions helps us to help you; if you know the basics, you’ll likely want to know more, and we can continue to provide you with the top 10 website hosting companies and review them on a regular basis. How much storage space do I need for hosting? The amount of storage space you need is dependant on the type of website you’re running, however, most websites do not exceed 1GB worth of storage space. Storage space starts to get tighter with the more images, videos, and pages your website has on it. There are lots of useful tools you can use to reduce the size of your website by targeting things such as images that take up a lot of space. TinyJPG allows you to upload as many as 20 images at a time, compressing the size of images without reducing quality; it will assess your images and optimise them, bringing the file size down whilst maintaining content and quality. Although it may not seem like a big deal, the more images you have on your website, the slower the pages will take to load your images, thus resulting in possible users abandoning your website, as they don’t have the time or patience to wait more than 3 seconds to view your website. Will I receive a domain name with my web hosting? Not all web hosting providers have the ability to offer a domain name, others will charge you for one, whereas most will include a free domain name when you sign up for web hosting with them. Fear not, if a domain name is not included in your web hosting, then you’ll have an option to purchase one with the chosen hosting company. How do I transfer my website to another host? It might seem like a daunting task, but switching your website from one web host to another is relatively simple. Some web hosting companies will even offer free migration, doing the work for you. 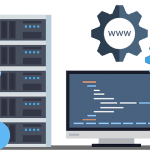 How do I choose the right web hosting provider? Choosing a web hosting provider can be a large task of its own as there are so many factors to consider; who’s the cheapest, who will provide the best service, who will guarantee my websites’ uptime – all of these questions are completely valid, which is why we’ve created this website for you. We take a look at the top 10 web hosts and review them for you – we’ve undertaken many tests and signed up to all of them to ensure your choice is informed and well-researched. We know that many of you will want to opt for a cheap web host, to begin with, and that’s absolutely fine! Domain hosting is the service that provides your domain name (www.top10-websitehosting.co.uk) so that it appears online for users to access. There is no reason to pay extortionate amounts for a domain name, however, looking for the best domain hosting provider is key to ensuring costs are kept down. GoDaddy is the number one domain registrar and is extremely popular, with prices ranging from only £0.99 for a .com domain name, or £1.00 for a .co.uk domain name. Their control panel is easy to manage, assigning nameplates is painless, and their prices are extremely affordable. It’s not only large businesses or eCommerce websites that require web hosting, in fact, but small businesses will also likely spend more time choosing the best web host for them as it’s an important investment. Small businesses usually require web hosting that offers an easy to maintain website, marketing and SEO tools, and a guaranteed uptime to ensure customers can always access your website. For businesses that have the potential to grow, HostGator offers some great features to get your business started, including, an easy to use drag and drop website builder, one-click installs, unmetered bandwidth, and the option to upgrade to other cheap web hosting plans when your website starts to grow. There is no contract, so if you don’t enjoy the experience, you’re not tied in – saving you every penny possible. HostGator are veterans of the shared hosting market and won’t be beaten on loading speeds. SiteGround are our number one choice for customer support, it goes without saying. Whenever we’ve contacted them, they’ve always responded effectively and efficiently without any fuss; no wonder they’ve won awards! When you’re starting out a business, there’s a chance you may not be 100% to grips with everything, including your web hosting, so you’ll want the best customer support there is to offer. If you’ve got burning questions, or something goes wrong, you’ll want to be reassured that there is someone there to help you, to make you feel like a customer, not a number, and to go the extra mile. SiteGround is a solid choice for small business web hosting. Which is the Best Cloud Web Hosting? Starting at only £2.25 per month, BlueHost offer cloud web hosting with decent storage, RAM, and bandwidth to get you started on your cloud hosting journey. If you’re ready to move on to bigger things, Bluehost offer an unmetered package for £8.95 per month, so you can upgrade at an affordable cost. If you get a lot of traffic to your website, it’s wise to consider a cloud hosting option. Essentially, you can manage peak loads without encountering any bandwidth issues. If any of the cloud servers fail, there will always be another server available that kicks in, ensuring your website won’t go down and the data won’t be lost. Building a website is no longer a minefield; you don’t need a degree or qualification in web design or development, nor do you require the technical knowledge. Website builders are becoming increasingly popular, handing the control over to the user to design and create their perfect website, with a few drag and drop functionalities. Simply upload photos, edit text, or choose templates that already have it set out for you; it really is that easy. Some of the best web hosts now include the use of website builders as part of their package. 1&1 not only offers dedicated web hosting and excellent customer support, they offer 1&1 My Website which contains all of the tools you need to build your own website from only £0.99 per month. They present you with an easy to use website builder, over 20 million images to use, and some really professional templates. Cheap web hosting can be a grey area; often the cheapest is not the best, instead, you want to look at affordable web hosting that offers a great price, with great value for money. All of our web hosting reviews provide an in-depth view of each of our chosen web hosts, including their pricing plans, features and performance metrics. Free website hosting and cheap hosting from non-reputable companies is best avoided; spending an extra few pence even can sway the choice from a bad service, unreliable uptime, and poor features, to quality hosting at its best with a reputable web host like SiteGround. Having an email address associated with your website’s domain can pack a powerful punch. If you’re running a business, small or large, your customers will want to be able to contact you via email – a business email address is much more effective and professional. Having an email address is a great start, however, you’ll also need to consider how many emails you’ll likely receive in order to assess the required storage space. Ensuring you have a reliable spam filter and virus protection are also top of the list when making your choice. One of the most popular blogging platforms on the market is, of course, WordPress. Not only is it easy to create free blogs with, you can also create beautiful websites too. When looking at web hosts who provide hosting for WordPress websites, you’ll want to keep your eye out for 1-click installs. 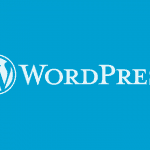 With a simple click of a button, WordPress will be installed onto your web hosts control panel where you can easily access your WordPress website or blog. Can I Leave My Own Web Hosting Review? Of course! In fact, we welcome unbiased web hosting reviews and feel that this is a great way to add to the community and it obviously helps other users make a better-informed decision. Include as much detail as possible such as feedback on the customer service and features. We use reviews as a measurement of how good a hosting service is, and therefore helps us to rate the best web hosting company of 2018 that much easier.